Wonder if Sony will have dedicated servers for just games and online play or just games it self. I wonder how this streaming will work. Internet connection needed? Will my old game saves still work? Or will I have to buy another desk to hold both my PS3 and PS4? Many strongly argue the Xbox's dominance over the PlayStation in the field of online play. I argue otherwise. Why? Because the PlayStation's online service is free, and free is always better. Actually, that's subjective. But hey, I'm cheap. To even the playing field, or rather take the advantage, Sony announced some promising news following their press conference on the 20th. 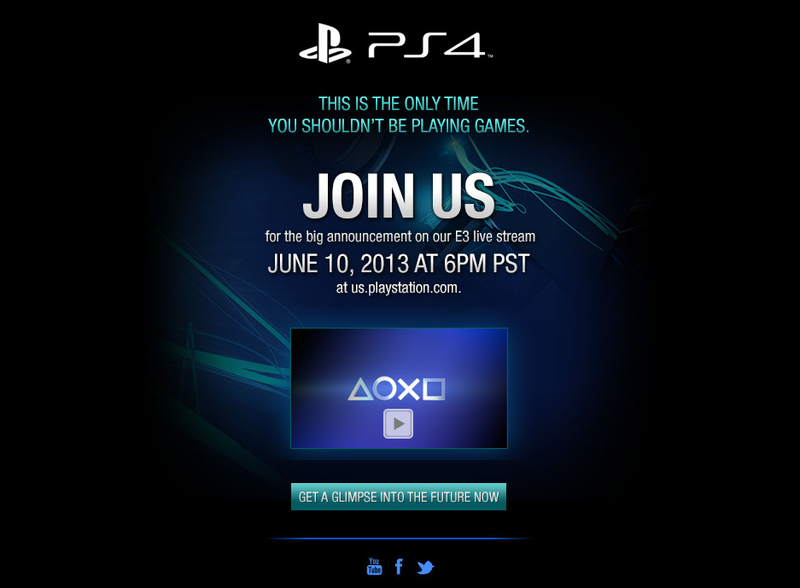 In a press release, Sony detailed a handful of information regarding what we can expect from the PS4. Every bit of that information was invaluable. I found one little detail to be very exciting. Some of you may already be aware of this, and if you aren't, here it goes: Cross-Game chat on the PS4! The press release read, "Through PS4, users are able to deepen their connections through co-op play or “cross-game chat." Xbox players already have this, but then again, they have to pay for the online service. Since Sony's online service is free, with the exception of upgrading to PS+ of course, these new features will also be free of charge. To further excite and please the fans, Sony's PS4 is going to include a headset as well. Some of you may say that Sony is biting Microsoft, but that isn't necessarily true. The PlayStation gamers have been begging for a cross-game chat feature, so the way I see it, Sony is simply catering to the wants of their loyal gamers. Anyways, does Microsoft have the whole idea of cross-game chat patented? Nope. Sony is stepping up their game with the PS4, there is no question about it. We just have to wait on Microsoft's response; and that response is going to be their next-gen console, right? Microsoft is keeping things under tight wraps for now, but I'm sure they will crack. With Sony being the center of the gaming world right now, all eyes are slowly turning towards Microsoft in painful anticipation. Sony fans, are your wants fulfilled? Hopefully the addition of cross-game chat will bring them one step closer to satisfying you lot. I know I'm ecstatic to hear it. If you are a racing enthusiast who also owns a PlayStation 3, then there is an absolute chance that you own the Gran Turismo series. Their latest installation, Gran Turismo 5, was released roughly two years ago during the later period of 2010. The game’s success’s was unquestionable. With sales reaching massive numbers, the fans, including myself, were satisfied. In fact, we still are. I still play the game as Polyphony Digital constantly updates with more races, events, and cars. Nonetheless, we all want a new version of the game. Therefore, Gran Turismo 6 is inevitable. During Sony’s massive press conference, Polyphony Digital was present. They talked about how the PS4 will allow them to expand and be more creative. However, they didn’t slip a word on the Gran Turismo series. It’s been rumored before, so we know it’s coming. And with the usual delays Polyphony Digital is known for, it’s hard give an estimate on a release date. I’m hoping for a PS4 release. With the capabilities of the next-gen system, Polyphony Digital can, without a doubt, push the boundaries of play. Gran Turismo 5 is already spectacular, yet the PlayStation 3 limits that game. I can only imagine what they are going to do next. I’m perplexed. I know Sony isn’t forgetting the PS3, but I thought GT6 would be a next generation title. It could be that it’s a cross-generation title, and if that’s the case then I’m pleased. It all does really come down to money and marketing for the company. It’s a smart move on their part to continue the production of these amazing titles for the current gen systems. Obviously tons of people own a PS3, so the market for the games is strong. They haven’t mentioned the relationship between the PS4 and Gran Turismo yet. I hope – fingers crossed – that Sony does make a PS4 version of the game because it’s going to be nothing short of pure madness; and I mean that in the best possible sense. Updated the first post with user interface link. Might also give a clue to future released games. Square-Enix has had problems in the current gen, I suspect that the company couldn’t adapt Final Fantasy and other IPs to the HD era. Moreover, the first version of FF14 was a downfall, this game forced to stop the development of other games to focus in the rebuild of FF14. Really it’s like a new game. Square-Enix announced Final Fantasy Versus XIII years ago and the game was lost in the limbo. Square decided to halt Versus PS3 development two years ago, but the RPG wasn’t cancelled, why? Two years ago, Square-Enix moved the game to PS4 and Sony got in the project. Actually Sony is co-developing the game with Square-Enix, therefore, this game will be exclusive on PS4. Square renamed Versus to FF15 in the middle of this process. Sony’s studios are helping SE with FF15 assets among other tasks. We hinted this PS4 exclusive one month ago, but we couldn’t speak freely about this topic. Now, it’s all that we can say. have there been any teaser pics or leaks of what the console might look like? i've been trying to find some but mostly keep finding fan concepts or predictions of what it could look like. no pics of what it might actually look like. As far as I know, no. Most likely be unveiled at E3 this year. Last edited by Spoon Sports; 05-06-2013 at 04:31 PM. I'm guessing that "share" button is going to be kind of like the "print" button on a digital camera: never used. In fact, I hope it's never used. I guess we can throw all those prototype versions of the PS4 out the window.